Do you think you’re laughing enough? That question is more important than you might expect. “Laughter is the best medicine” might be a little over the top, but laughter is certainly in the top ten. 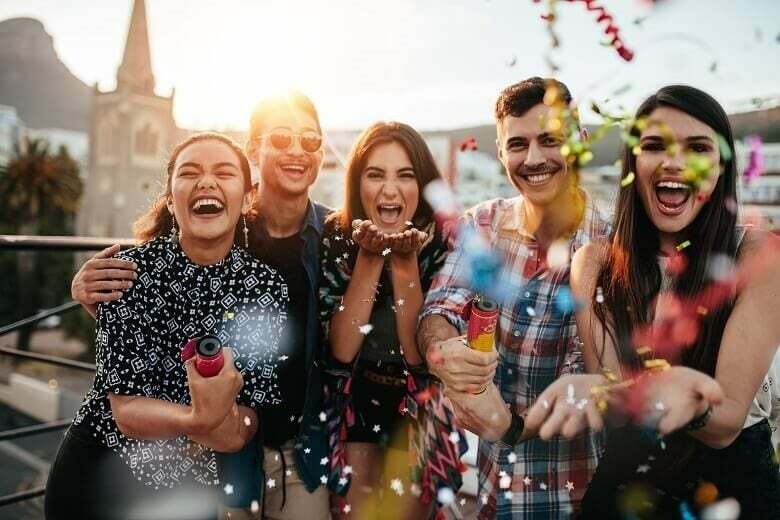 Imaginative scientists have connected the giggles to all sorts of things, from reducing stress and relieving pain to full on boosting your immune system. It won’t be long before laughter can cure the flu and ward off angry dogs. The average toddler laughs about 300 times a day, compared to about 20 times for an adult. Something clearly goes wrong when we grow up (and it’s no laughing matter). At MoveHub, we want you to live your best life. If you’re not laughing at least as much as a toddler then you’re in the wrong place. So where are the right places? We ranked nearly 70 cities around the world based on their ‘lol’ factor and put them in a nice pink table. The scores were based on a combination of things, including comedy clubs (per 100,000 people), comedy shows in the next three months (per 100,000 people) and number of annual comedy festivals – all based on Yelp and EventBrite. We also used a jazzy tool called Talkwalker to count the number of instances of ‘lol’ on social media (including retweets) in each city over the past 13 months. It’s the 21st century and virtual laughter is just as important as the real thing. Fortunately, ‘lol’ is pretty universal code for “this is funny”. Check out the results below. 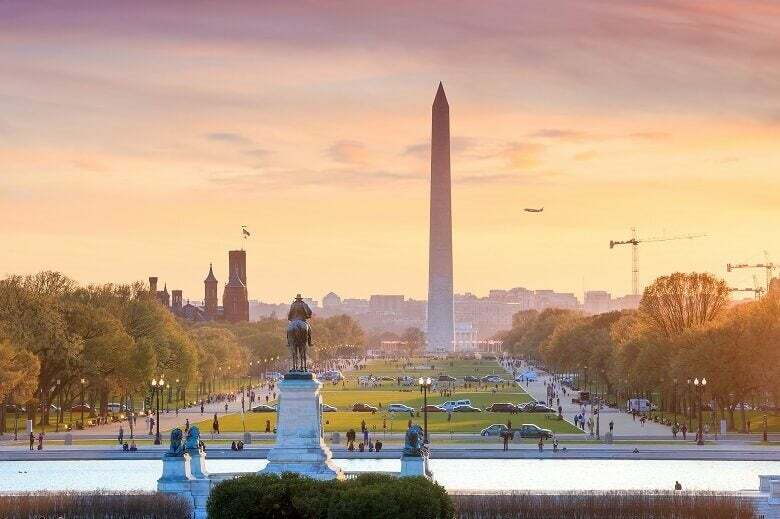 Sitting proudly at the top of the list is the American capital, Washington DC. Who knew you could have such a funny time over there? The city did enormously well in the comedy show rankings, placing first with 102 shows per 100,000 people in the next three months, but the real shocker is its number of online ‘lol’s. The people of Washington sent out a staggering 82 million mentions of ‘lol’ in the past 13 months. If you’re not staggered, consider that the second highest number was just seven million in London, followed by four million each in Paris and Madrid. We’d like to say that this equates to 82 million laughs, but nobody really laughs when they type ‘lol’ (it’s an internal chuckle). This means that there were over 11.5 million lols per 100,000 people over the past 13 months, which is really quite a lot. The capital is also kitted out with a big number of comedy clubs (70), averaging out at nearly 10 clubs per 100,000 people. So what do the Washingtonians have to laugh about? We suspect it’s got something to do with the bright orange man living in the White House, who pretty much puts on a new comedy show every day. Or perhaps things are so upsetting over there that internet lols offer an easy escape. The city also consumes more rosé wine than anywhere else in the country, so that explains things a little too (everything’s funnier when you’re tipsy). For a flavour of the Washington DC sense of humour, just take a trip to the National Cathedral. On the front of the building, you’ll see that one of the gargoyles is actually Darth Vader. Yes, they’re very funny over there. You’ll notice the dominance of US-based cities in our top ten. Without wanting to take anything away from them, we think the slight western bias of certain sources (e.g. Yelp and EventBrite) might have had something to do with it. It turns out the comedy capital of the UK is not London, which actually ranks 23rd. Would you believe it? The city of overpriced houses and ever-increasing pollution is not the best place for a proper British chortle. Instead, you should head up north to Manchester, or Lolchester, which ranks 5th overall. Most Mancunians are not in fact moody Liam Gallaghers and they actually know how to have a proper laugh. The city is a bit of an all-rounder, performing well on all four fronts, although its traditional comedy game is particularly strong (4 clubs and 94 shows per 100,000 people). It all makes sense when you consider what Manchester has given us. Not the Industrial Revolution (that wasn’t very funny), but all these laugh-a-lot comedians: Victoria Wood, Les Dawson, Jason Manford, Caroline Aherne, Bernard Manning and so on. Take a look at the official Twitter feed for Manchester City Centre Police, who like to make jokes about genuine 999 phone calls. 999 at 9am - Caller worried about a duck 'on the loose' on a road near the Mancunian Way. If you’re after some laughs in mainland Europe then there’s only one place you should go: Amsterdam. The Dutch capital is the only city from outside the US or the UK that ranks in our top ten, so well done to the Dam. With a total score of 65, Amsterdam’s strongest performance was on its ‘lol’ count (559,000 mentions overall, which equates to over 75,000 ‘lol’s per 100,000 people). But why Amsterdam? 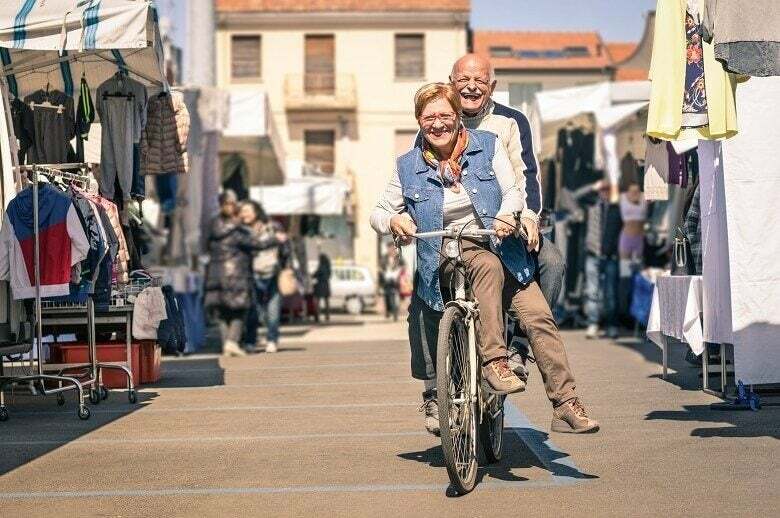 Are historic canals and bicycles really that funny? We don’t think it’s a coincidence that the cannabis capital of the world is particularly prone to having a giggle. Marijuana, popularly known as ‘dope’ or ‘ganja’, is not technically legal in the Netherlands, but it’s not really illegal either. The police don’t do much about it and dope vendors can get trade permits from the authorities. It’s a rather hazy situation. There are about 250 “coffee shops” in Amsterdam, so the locals are well served. Las Vegas has more comedy clubs per 100,000 people than any other city on Earth – and you’d expect nothing less from ‘The Entertainment Capital of the World’. We found the Nevada city to have 151 clubs, which amounts to nearly 24 clubs per 100,000 people. That’s almost too much choice. Las Vegas is surrounded by baking hot desert, so you can understand the appeal of an air-conditioned comedy club. If you ever find yourself over there, check out the LA Comedy Club and the Laugh Factory – we’ve heard they’re very good. Just don’t tell anyone about them (what happens in Vegas stays in Vegas blah blah). Seven! That’s right: Chicago has seven comedy festivals each year, more than any other city in the world. You’re barely over the last one before another one comes along. It’s relentless comedy and it’s exhausting. There’s sketch comedy, satirical comedy, nerd comedy, break out comedy, music comedy, all the kinds of comedy you could possibly wish for. In contrast, the UK city of Edinburgh only has one annual festival, but the saying “quality over quantity” springs to mind. The Taiwanese capital came last in our study, with a measly score of 6.6. Its numbers make for fairly lol-free reading, such as only one comedy club (according to Yelp) and no annual comedy festivals. We found only 64,000 Taipei ‘lol’s in the past 13 months – or 813 ‘lol’s per 100,000 people – which is really not enough to go around. We’re hoping that the Taipei locals have found a different word to express their online merriment. If you can’t see your home city near the top of the table then maybe it’s time to move. Get some laughter in your life before you get too stressed. Move to Washington DC and giggle like a toddler again. Nothing else matters. You might like the boring stuff in your current city, but what’s an efficient metro system compared to a proper daily lol? If you don’t fancy any of the Yankee cities, Manchester and Amsterdam will happily have you. Get packing!